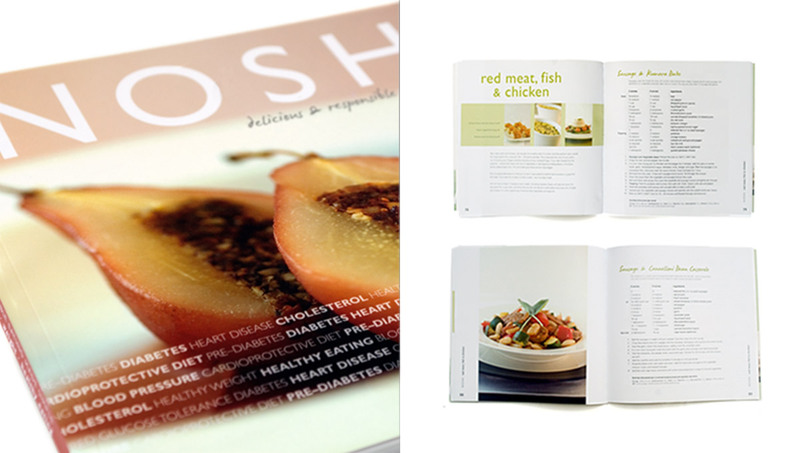 We had the mouth watering pleasure of putting together the health focused recipe book NOSH. 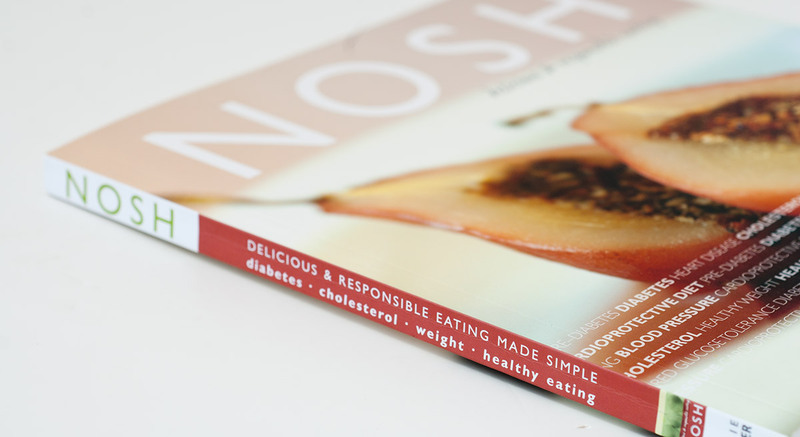 NOSH is about eating delicious (tasting and looking) and responsible (good for health and wellbeing) food that is made simple (methods, presentation and readily available ingredients). We kept the design of the book clean, simple and a reflection of this philosophy. The 180 page book contained pages of beautiful photographs and detailed nutritional information alongside the easy to follow recipes.